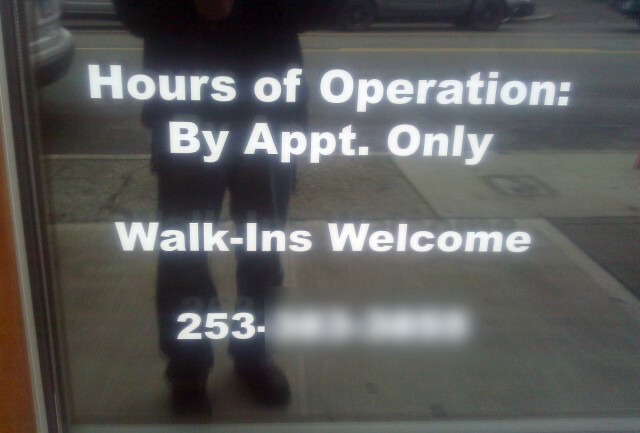 Can anyone explain this combination of appointment-only and walk-ins? I saw this on a window of a local Tacoma business and it perplexes me greatly. I doubt I am the only one.